Australian statesman, born at Stoneleigh, in Warwickshire, on the 27th of May 1815. The son of parents in very humble circumstances, he received only a rudimentary education, and at an early age was obliged to earn his living as a common laborer. Failing to make his way in England, he emigrated to Australia in 1839, and after a time settled in Sydney as an ivory-turner. Conscious of his great powers, he worked unremittingly to repair the deficiencies of his education, and developed a genuine taste for literature, and a gift for versification which won the approval of so severe a judge as Alfred Lord Tennyson. His first volume of poems was published in 1842, under the title of Stolen Moments. Parkes now began to take an active part in politics, and soon showed himself the wielder of an incisive style as a leader-writer, and a popular orator of unrivalled influence. He took a prominent part in the movement against the transportation of convicts, and in 1849 started the Empire newspaper to inculcate his policy of attacking abuses while remaining loyal to the Crown. The paper at once made its mark, but owing to financial difficulties ceased to appear in 1858. One of the reforms for which Parkes fought most strenuously was the full introduction of responsible government. He was returned to the legislative council under the old constitution as member for Sydney, and on the establishment of a legislative assembly in 1856 was elected for East Sydney. His parliamentary career was twice interrupted by pecuniary embarrassments; indeed, he never acquired the art of making money, and in spite of a public subscription raised in 1887 died in absolute penury. He was elected for East Sydney in 1859 at the first general election under the new electoral act, and sat until 1861, when he was sent to England as a commissioner for promoting emigration. 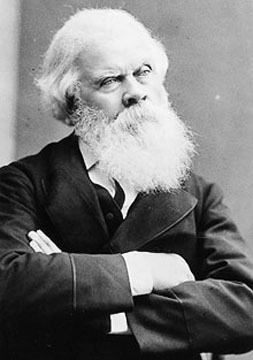 He made a prolonged stay in England, and described his impressions in a series of letters to the Sydney Morning Herald, some of which were reprintcd in 1869 under the title of Australian Views of England. He returned to Australia in 1863, and, re-entering the Assembly, became colonial secretary in the Martin ministry from 1866 to 1868. He succeeded in passing the Public Schools Act of 1866, which for the first time instituted an efficient system of primary education in the colony. His great chance came in 1872, when the Martin ministry resigned on the question of the sum payable by Victoria in lieu of border duties. Parkes had for several years persistently advocated free imports as a remedy for the financial distress of the colony. He now became Prime Minister and colonial secretary; and rising to the height of his opportunity, he removed the cause of dispute by throwing the colony open to trade. He held office until 1875, and on the fall of the Robertson ministry again became premier and colonial secretary from March until August 1877. At the end of this year he was made K.C.M.G. Finding that the state of parties did not allow of the existence of a stable ministry, he formed a coalition with Sir John Robertson, and became premier and colonial secretary for the third time from December 1878 to January 1883. In 1882 and in 1883-84 he paid prolonged visits to England. Already distinguished among Australian statesmen for breadth of outlook and passionate devotion to the Empire, he returned with those qualities enhanced. For a time Parkes found himself almost in a position of isolation, but in 1887 the policy of protection adopted by his successors brought him again into office. His free trade policy was once more successful. Other important measures of his administration were the reform of the civil service, the prohibition of Chinese immigration, and the railways and public works acts. He fell from office in January 1889, but in the following March became for the fifth time premier and colonial secretary. The remainder of his life was chiefly devoted to the question of Australian federation. The Federal Convention at Melbourne in 1890 was mainly his work; and he presided over the convention at Sydney in 1891, and was chiefly responsible for the draft constitution there carried. Defeated in October 1891 on his refusal to accept an eight hours' day for coal miners, he remained in opposition for the rest of his career, sacrificing even free trade in the hope of smoothing the path of federation. He died at Sydney on the 27th of April 1896; but though he did not live to see the realization of his efforts, he may justly be called the Father of the Australian Commonwealth.